Because as fun as cooking may be, there’s not always enough time for it. 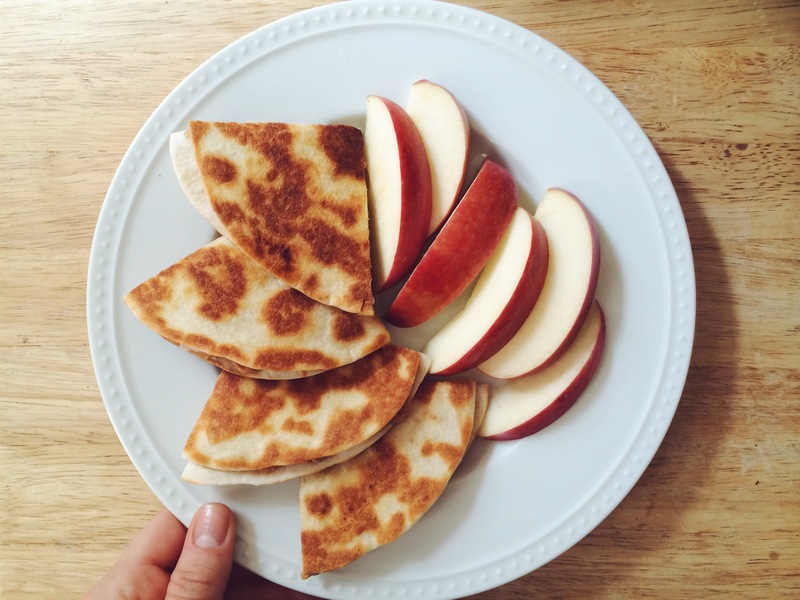 However, when there IS time for it: you should make Grilled PB& Apple Quesadillas, because I just discovered that they’re really good. Take two tortilla shells. Butter 1 side of each. Place one of them, butter side down, on a stove top pan. 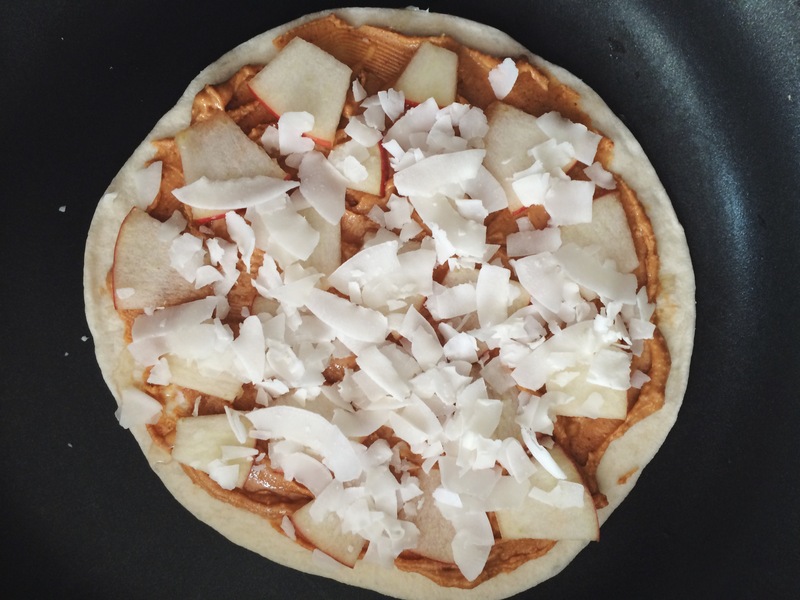 Smother it with 2 TBSP Peanut Butter. 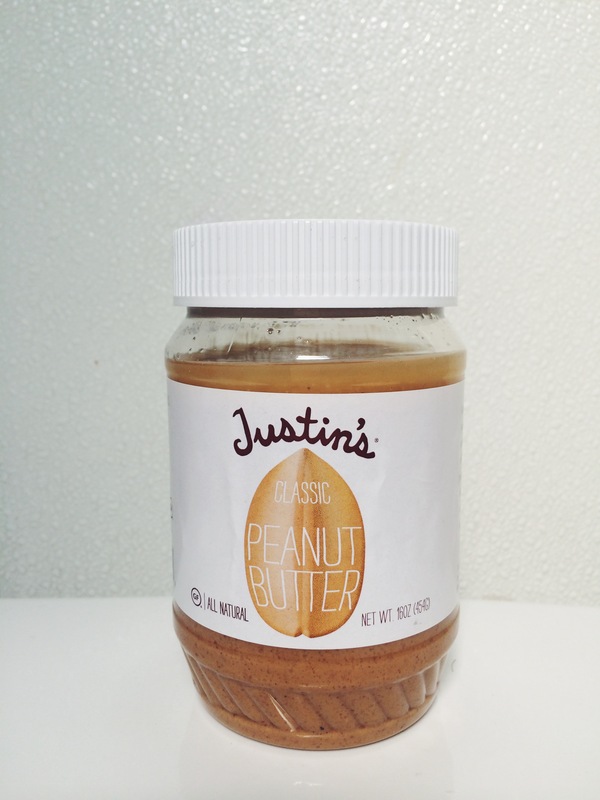 Justin’s is a favorite, here. Then drizzle honey on it, generously. Slice an apple very thin and small, and stick them atop the honey/pb layer. Put a dash of cinnamon on it, if you like. I sprinkled unsweetened coconut, but it’s a total preference ingredient. Have fun with it… chocolate chips would do just fine, OF COURSE. 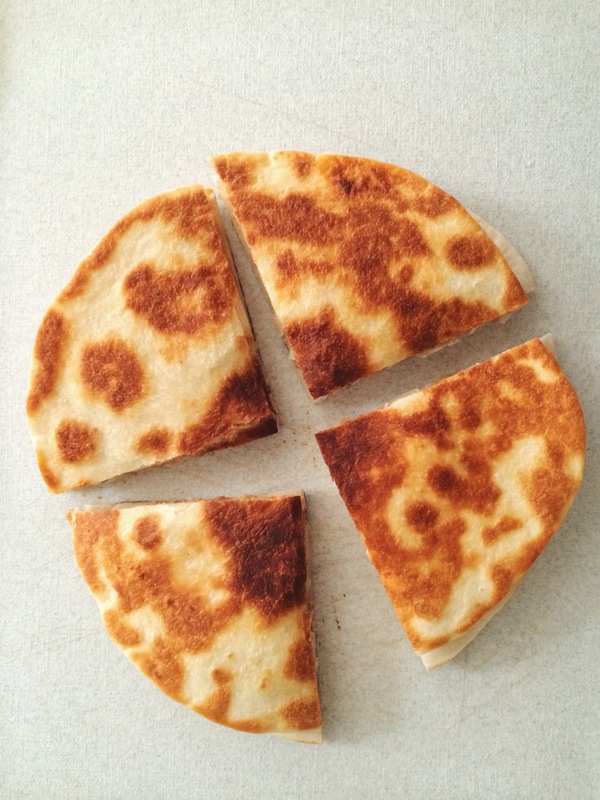 In order to make the layering all stick together, take you’re remaining tortilla shell that has butter on one side, and lay it down in a plate, butter side down. 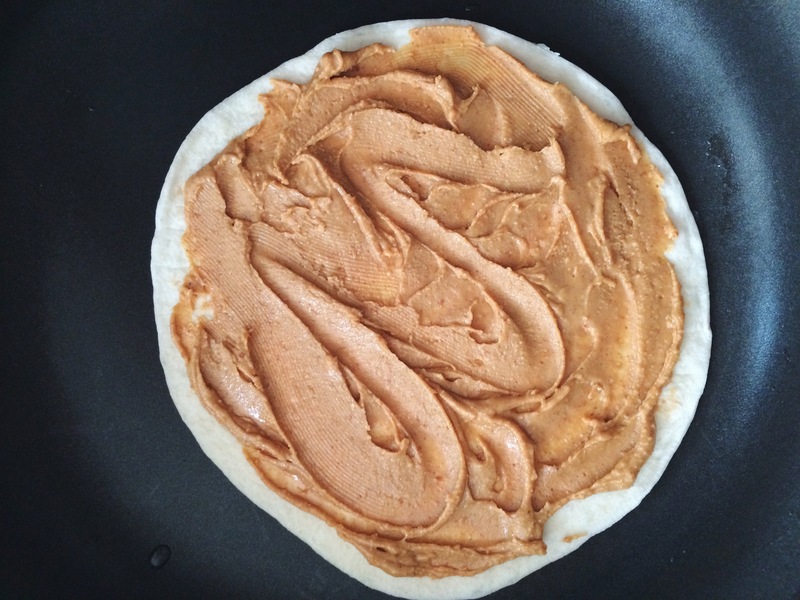 Spread another TBSP of peanut butter on the plain side, drizzled with a bit more honey, and then stack it on top. I covered the pan, on low-medium heat, and flipped it after about 3-4 minutes. It is a great combo with a crispy red Gala or Pink Lady apple. 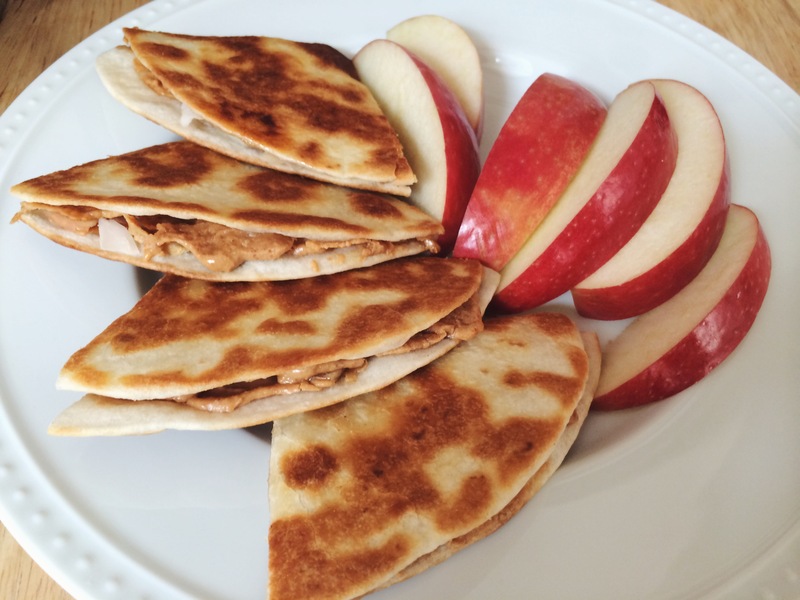 If you’re into bananas, switch it up and make it a PB&B! I’m certain it would be grand.